In a state that celebrates all things big, Houston is Texas' largest city. It's not concentrated in one downtown urban section, but rather a sprawling mix of neighborhoods. While this makes having a car a necessity, it also means there are lots of interesting pockets to explore. From ethnic enclaves to emerging indie sections, Houston does not disappoint when it comes to eating, drinking and shopping. 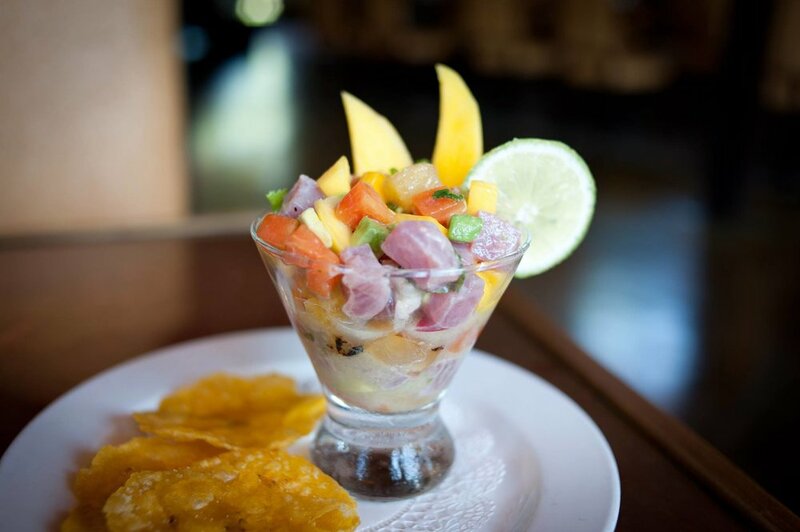 Ranging from high-end dining to humble food trucks with each equally worth visiting. You can also take advantage of the city’s cultural side and its history of oil money. They collide at the Menil Collection which houses the private collection of Dominique de Menil, an heiress to the Schlumberger Limited oil-equipment fortune. The museum is free. Here is a 24-hour guide based on where local chefs and bartenders would eat, drink, and shop if they were visiting Houston for just one day. Dill Scramble at Blacksmith | Photo Credit: ©Find. Eat. Drink. A cafe and coffee house from well-regarded baristas David Buehrer and John Letoto where you can get a full breakfast with your cortado or cold brew. The menu features dishes like Vietnamese Steak & Eggs, Dill Scramble over pumpernickel bread, and scratch square biscuits with egg and sausage. Biscuit, egg, and sausage | Photo Credit: ©Find. Eat. Drink. "The best baristas in town. They're so happy and cordial and they pour a mean cortado." "It's a bit hip in here. They brought in baristas from around the country who are super talented." "Blacksmith Coffee for iced coffee and Vietnamese iced coffee is my favorite." "These are some of Houston's best doughnuts and this is my favorite spot for a quick drive thru breakfast before work. I love the rotating seasonal flavors that they bring into the mix and you can never go wrong with a classic glazed." This humble taqueria has been selling house-made flour tacos since 1977. "It's a family-operated taco stand that’s been in the east side of Houston since the '70s. I always get the Bacon Super taco, a fully-loaded breakfast taco. I really love the way they use big chunks of slab bacon instead of crumbly bacon bits." "It's literally 70 percent of my diet. I eat pho every day. It has fresh noodles and vegetables and quality ingredients. The best." "They just serve pho, the Vietnamese soup. I love those kinds of restaurants where they only serve one thing and they do it really well. I get the Tai Nam Gau Gam - it's crispy flank and a crispy brisket. The broth is really good. You can tell that they slowly simmer the bones and the sweetness comes from hard spices, onions and aromatics. There is a depth of flavor from a long time of simmering and a flash of refreshing flavor, because they’ve added the sweet and aromatic components." Space Montrose | Photo Credit: ©Find. Eat. Drink. 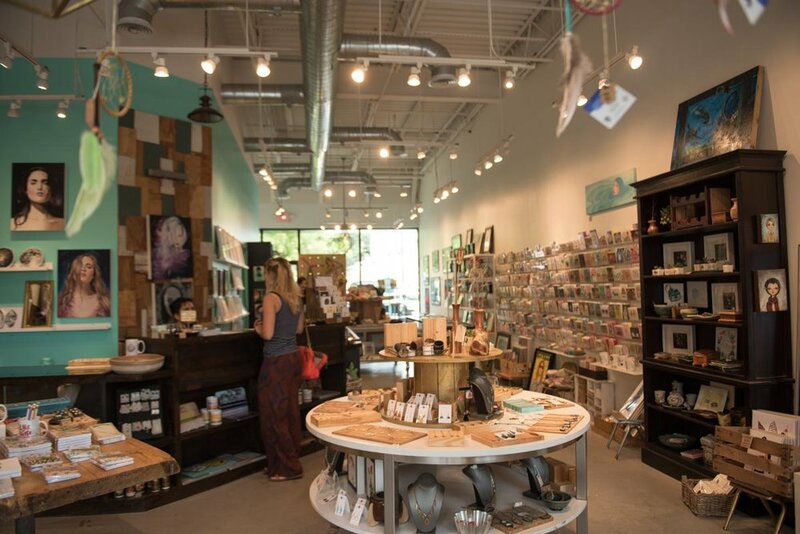 This design-focused indie boutique in Montrose sells everything from cards to art to locally-made souvenirs. 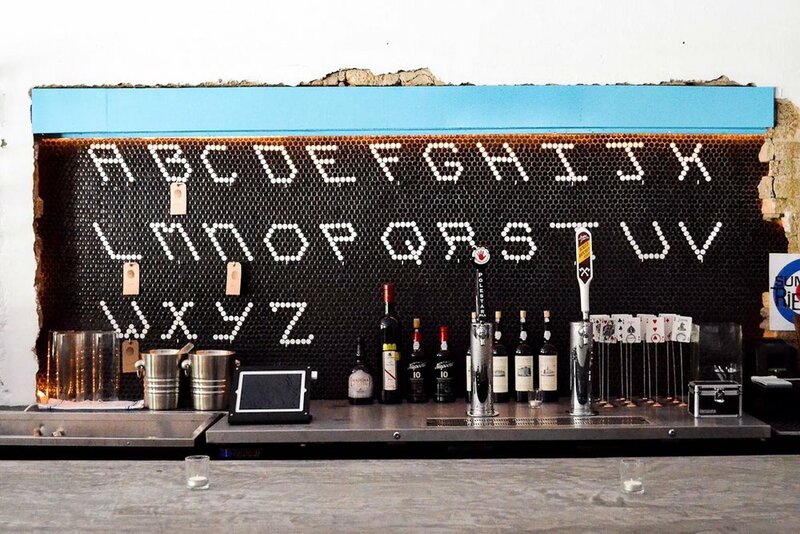 "This is a cool little spot in Montrose that exemplifies what Houston is right now. The store features and supports local artists and showcases a lot of Houston pride. We decorated our guest room with Houston art from this store. We want anyone staying with us to know they're waking up in Houston." Manready Mercantile | Photo Credit: ©Find. Eat. Drink. Located in Houston's Heights neighborhood, they sells an array of clothing, boots, denim, leather goods, accessories, apothecary, and vintage antiques all made in the USA. Their signature line at Manready Mercantile | Photo Credit: ©Find. Eat. Drink. "I really like shopping at Manready because they feature locally-made products." This is upscale Mexican cuisine. The restaurant is housed in a 1925 structure that was designed and built by well-known Houston architect Joseph Finger. "Come for brunch or lunch. It's the perfect day drinking 'rita situation. The food is great, too." "Hugo's is a rather large dining room in what used to be an old warehouse, so it's all windows and the food is really great. There aren't many restaurant like it in the US. They have two soups which are a seasonal rotation of soups. One I like is Caldo Verde De Pescado and they also have an oxtail soup that is really great, especially when it gets colder here." "Hugo is a rock star in Houston. If you're looking for Mexican flavors, this is your place. The Coctel de Camaron (shrimp cocktail) is a good teaser to set the tone of what's to come. My all-time favorite is their Chilaquiles, which is Hugo's totopos (similar to a tortilla) in tomatillo salsa with chicken and topped with two sunnyside eggs. Ask anyone who knows me... I love eggs." "It is classic Mexican high-end cuisine. It's some of the best food in town." A popular mom and pop Mexican restaurant known for their menudo, carnitas tacos, and house-made green sauce. "They have the best menudo on the face of the planet." Crispy Chicken Sandwich at Revival Market | Photo Credit: ©Find. Eat. Drink. Fresh foods sourced from local farmers, ranchers, cheese makers and food artisans. Their menu features sandwiches, salads, charcuterie, and house-made staples like vinegar, pickles and jams. "Come here for a kolache (Czech pastry) on Saturday. Get here early because there's always a line." "They are at the forefront of local products with only Texas meat in their cases. They work with local farms and gardens to bring in fresh produce." "They have an interesting meat program and are also very flexible. They take orders and if you give them a little bit of lead-time, they can pretty much do any cut imaginable. Adam Garcia is just an incredibly organized creative person that has an incredible charcuterie program." Saigon Pagolac | Photo Credit: ©Find. Eat. Drink. You'll find this authentic Vietnamese restaurant tucked in the corner of a strip mall in Chinatown. "From the main dinner menu, I always order the Chao Tom Cuon (charcoal broiled shrimp paste and vegetables rolled in rice paper), Bo La Lot (ground beef wrapped in Hawaiian leaf and grilled over charcoal), Banh Xeo (pan-seared Vietnamese crepe made rice flour and filled with shrimp and pork, served with fresh vegetables), and wash it all down with a salted lemonade." Southern hospitality combined with chef Lyle Bento's traditional-meets-modern Southern cuisine. They also have a long list of craft beers on tap and often have live music. 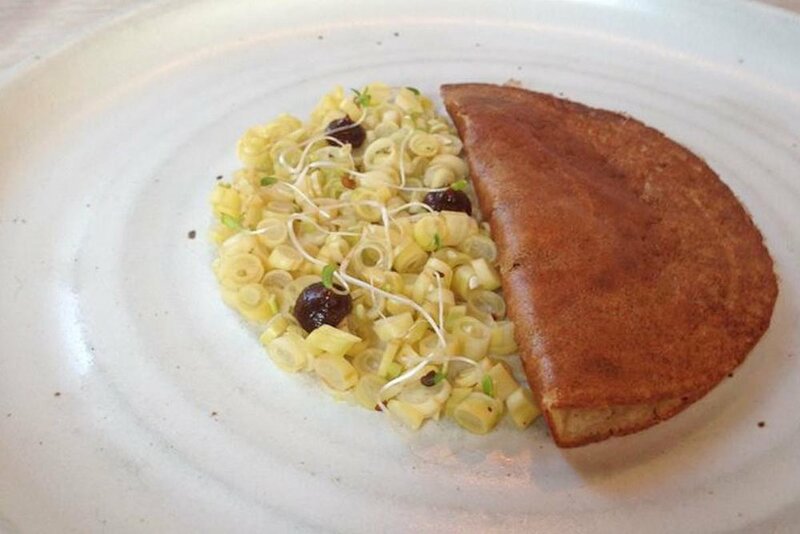 "This is a new restaurant that came on the scene last year. It's inventive, fun, with playful food. It's delicious and true to its Southern roots. The barbecue on Saturday afternoons is great." Tacos Tierra Caliente | Photo Credit: ©Find. Eat. Drink. Visit the food truck located in the parking lot of the Hollywood Food Store strip mall. Order a few tacos and then take them across the street to the West Alabama Ice House to sit at one of their picnic tables and order a cold beer. "Tacos Tierra Caliente are arguably the best tacos in town. They have a food truck outside the West Alabama Ice House, which is conveniently located on my home from work." "West Alabama Ice House is an old school Texas icehouse and there are always great people here, cold beer, and games outside. There's no air conditioning and if a bar can make it without A/C in this city for over 80 years there’s something special about it." "Tacos Tierra Caliente is an awesome taco truck next to West Alabama Ice House, which is a great spot for a cold beer." West Alabama Ice House | Photo Credit: ©Find. Eat. Drink. Tacos from Tacos Tierra Caliente | Photo Credit: ©Find. Eat. Drink. Morningstar | Photo Credit: ©Find. Eat. Drink. Barista David Buehrer, of Blacksmith Coffee and Greenway Coffee, has opened a cafe where the coffee shares the spotlight with the donuts. They also have a matcha-based menu for non-coffee drinkers. "The best coffee and the best donuts from the coffee guru himself, David Buehrer." Che Hue & Che Ba Mau from Duc Phuong Thach Chef | Photo Credit: ©Find. Eat. Drink. This is a Vietnamese bakery with a full array of unusual desserts, banh mi sandwiches, and iced drinks. It's cash only. "The best pastry program in the city. The bread for their banh mi is fantastic and I love getting the Che Hue or the Che Ba Mau which are sweet, icy soups served in plastic cups. Owned by chef Justin Yu (Oxheart) and sommelier Justin Vann, this bar is located in the historic Houston Cotton Exchange Building in downtown Houston. As the name implies, they have a deep selection of wines and whiskies. At Happy Hour you can get beer for $2 to $4, $5 wine and cocktails, and $5 snacks. "Go for their happy hour and you can get half off on wine." Their tap room offers a selection of their own beers, as well as other beers from around the country. You'll also find a jukebox and an assortment of 1980s arcade games. "It's a cool, out of the way spot. If you're not from Houston, it's not likely you'll stumble upon it. They serve hoppy beers, have arcade games, and play metal music. The beers are good -- we put them on tap as much as we can at Hay Merchant. I'm a big fan of Ben, the owner." Co-owner and Beer Director Kevin Floyd describes Hay Merchant as "a craft beer bar, we don't sell any liquor. We have seventy-five drafts and five cask engines. We own forty of our own firkins and I mail those off to different breweries, have them filled with interesting, one-off interpretations of their standard beers. It's one hundred percent craft micro and import focused." "We come here after service on Sundays and I order hamburgers and drink beer. They pick the very best and have a really great program to maintain their taps. Because of the amount of beer they serve, they're always able to get really interesting and new styles of beers. They have a really knowledgable staff and they know how to pick out by your taste, even though you don’t know a lot about the product. You feel comfortable allowing them to take control as long as you're able to describe your tastes pretty well." Cocktail at Anvil | Photo Credit: ©Find. Eat. Drink. This is one of the premier cocktail bars in the country, located in a renovated Bridgestone Tire store that was originally built in the late 1950s. "This is the OG cocktail bar in Houston. The bartenders are incredibly knowledgeable, and the spirits section and cocktails are delicious. The bourbon selection is killer." "For post-dinner nightcap. Anvil has the best spirits selection in town. I gravitate to Armagnac and Calvados on such nights." "This is my alma matter. They offer 108 cocktails and 100 of them are classic. The bar is located in Montrose, which is a great place to walk around. The bar offers anyone who’s trying to get into cocktails, or be more involved in the cocktail scene, a great platform to learn more about classic cocktails." "Order a Ramos Gin Fizz." European wine bar and cafe serving vermouths, sherry, interesting and unique wines, along with plates of cheese and charcuterie. "This is my favorite wine bar. Their wine list is incredibly thought out and the space has an easy-going vibe where you can easily socialize or disappear into the comfortable booths inside the reclaimed Midtown space." Chef Chris Shepherd calls his restaurant "the story of Houston food. We want to tell the story of this city, how we feel about it, showing all the different diversities of this place, showing what we're calling now New American Creole and how this city really emphasizes that. With an ever-changing menu, we highlight different things everyday." "I love the overall representation of Houston food that Underbelly covers, honoring cultural tradition through thoughtful reinterpretations of very familiar dishes." "I come here pretty often and it's like a party in here all the time. It's loud and bustling and there are a lot of family-style meals. The menu has two sides, one is family-style with dishes meant to be shared by 4-6 people and then the other side is small plates that are meant to be passed around and eaten as a group. It's a great way to catch up with friends. The menu changes often, but get the Lamb Stripstrami if they have it. They take a lamb strip and cook it with pastrami spices and serve it with sauerkraut." Located in the Warehouse District, 31-seat Oxheart is getting many accolades for its well-priced tasting menu. While chef Justin Yu does include meats on his menu, his vegetables are what critics flip over. "Oxheart has world-class food with a casual vibe. Justin Yu deserves every accolade he's received." "I think this is the best restaurant in Houston. There's not a greater attention to detail or product on the plate anywhere else in the state of Texas. It's an amazing experience and it can be hard to get a reservation, so if you're planning on traveling to Houston make sure you try and call ahead and see if you can get a reservation prior to your visit." "This restaurant is very small and out of the way. 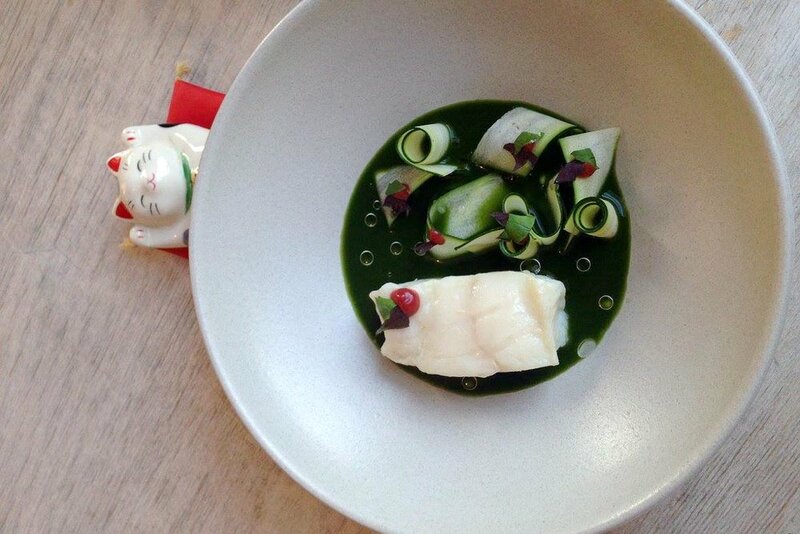 Chef Justin Yu has a way with vegetables and he only offers tasting menus, which change daily. They emphasize local products. Seats 30, so reservations are necessary." Italian-American cuisine from co-owners chef Ryan Pera and beverage director Morgan Weber It is an ever-changing menu with salumi, pizza, pasta, and wood-roasted entrees and dessert. "Hands down, one of the best restaurants. Ryan Pera is one of the smartest chefs I know. Food is always driven in local styles and a lot of the ingredients come from the garden out back. The cacio e pepe is on point." "They have classically driven drinks developed by Morgan Weber who uses ingredients that are very rustic in flavor and quality. His cocktail program is one of the more interesting ones in the city. The food is fresh Italian and my favorite dish is the Cacio e Pepe. They always get it just right with the perfect balance of pasta, pepper and cheese. Their wine program is very good too." If whiskey is your poison, this is your place. They have a full bar ranging from Texas brews on tap to top shelf whiskey and scotch. "This is the bar that founded the modern Montrose. It started as, and has always been, a casual dive bar, but the owners' personal obsession with whiskey and their laid-back and welcoming attitude, helped establish the current bar scene in Montrose. The concepts of bars like Anvil and Hay Merchant were hashed out over beers and whiskey at Poison Girl's bar. Go in knowing what you like -- the whiskey list is huge." "It's all about the bourbon here and you’ll probably find me here more than anywhere else, I just adore it. They acquired all of these really interesting bourbons prior to the bourbon bloom and they did a fantastic job. They still have some gems that you can’t find anywhere else. There are pinball machines inside and outside there's a patio with a big Kool Aid man, which gets dressed up with different holidays. The vibe is cool, comforting and very Houston." The wine bar next door to Paulie's restaurant. In addition to wine, they serve beer, 'cyder' and salumi & cheeses. "I come here for a night cap. David Keck and Felipe Riccio are wine geniuses." "David Keck knows a lot about wine and just passed the Master Sommelier Exam in 2016." Take home a bottle or six from Texas' oldest craft brewery located in Houston. Recommended by bartender Stephen Jeffcoat, who opts for the German-style Kölsch called Fancy Lawnmower. "I guess it’s kind of the perfect beer to have when you’re done cutting the grass." Small-batch artisan jams made by chef Josh Luttrell right in Houston. Stop by the shop Manready Mercantile to buy the jam and many other locally made products. Menil Collection | Photo Credit: Find. Eat. Drink. THE MENIL COLLECTION | Features the private collection of the de Menils. MUSEUM OF FINE ARTS | One of the largest art museums in the US. CONTEMPORARY ARTS | International and regional contemporary art. HOUSTON MUSEUM DISTRICT | 19 museums in 4 walkable areas. ART CAR MUSEUM | An art museum with an emphasis on art cars. 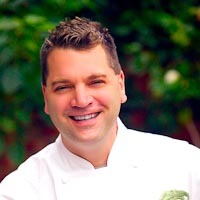 Executive chef and owner of Underbelly in Houston. Winner of James Beard Award for Best Chef 2014. 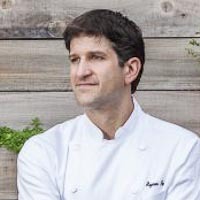 Executive chef and owner of Oxheart, Public Services in Houston. Winner of James Beard Award for Best Chef 2016. Executive chef and owner of Hugo's in Houston. Executive chef of Brennan's of Houston in Houston. 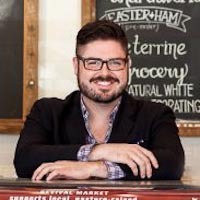 Executive chef and co-owner of Revival Market, Coltivare, Eight Row Flint in Houston. 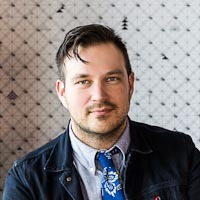 Beverage director and co-owner of Revival Market, Coltivare, Eight Row Flint in Houston. Barista and owner of Blacksmith, Morningstar, and Greenway Coffee in Houston. Beer director and co-owner of Hay Merchant in Houston. 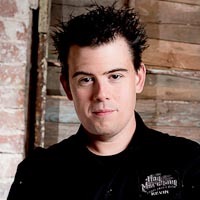 Bartender and co-owner of Anvil, Underbelly, Hay Merchant, The Pastry War in Houston. Bartender and co-owner of Julep, The Pastry War in Houston. Chef and owner of Hunky Dory in Houston. Butcher formerly of Underbelly in Houston. 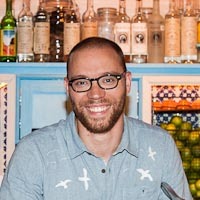 Chef / owner of State of Grace in Houston, TX; Beetlecat, Marcel, Superica, The El Felix, St. Cecilia, King + Duke, The Optimist, Jct. Kitchen, No. 246 in Atlanta, GA.
Executive chef of State Of Grace in Houston, TX. Yasmin and Branden Wages travel to the far corners of the world to find culinary inspiration for their restaurant Malai Kitchen. But they also like to discover what’s happening in their own backyard in Dallas. State of Grace's chef /owner Ford Fry and executive chef Bobby Matos pass along their itinerary for a perfect day of eating and drinking in Houston.